USING H7 (2 PIN) BULBS. 6000K Colour Temp. 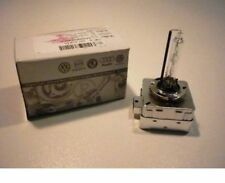 This is a CompleteH7 35wHID XENON conversion kit for AUDI models stated above. Why Upgrade To HID Lights?. SUITABLE FOR ALL CARS. Longer Bulb Life. 300% brighter than standard halogen bulbs. FITS CARS WITH H7 (2 PIN) HEADLIGHT BULBS. COLOUR TEMP - 6000K (DIAMOND WHITE). 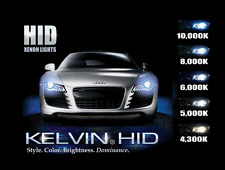 ALL OUR HID KITS ARE TOP SPECIFICATION. SIMPLE PLUG AND PLAY INSTALLATION ONLY TWO WIRES TO CONNECT. 12 MONTHS WARRANTY. 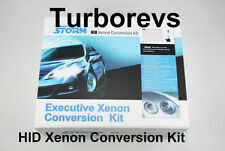 New Turborevs Error Free Super Bright 55w H7 6000k HID Xenon Conversion kit Suitable for Audi A4 B6, B7 models (01-08). 55w Ballast and Bulbs. Our HID conversion systems are suitable for use on dipped or high beam applications. AUDI A4 B6 B7 HID XENON CONVERSION LIGHT KIT H7 AC. 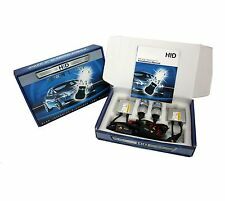 New Turborevs AC Canbus H7 HID Xenon Conversion kit fits AUDI A4 (00-08). Our HID conversion systems are suitable for use on dipped or high beam applications. 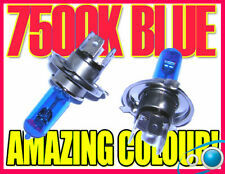 Bulbs are 7500K Colour Temp. Contains Xenon & Krypton Gases. This is 1 pair of H4 Xenon headlight bulbs. Xenon HID conversion kits. These bulbs have been manufactured to a high quality and have the blue cap on top of the bulbs. 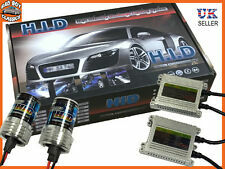 H7 Canbus Pro HID Xenon Conversion Kit. Error Free – Canbus Compatible. Audi HID XENON LIGHTS CONVERSION KIT - H7. CAN-BUS HID Kit! This is the ultimate HID Kit. This kit is made for luxurious vehicles as well as cars with flickering issues. Part Number:N 10721801. We will compare serial no. Part Number:N 10445701. Dispatch location: Berlin. We will compare serial no. PR-number:8JG,8JJ. 8P0907357F SWITCH UNIT XENON HEADLIGHTS AUDI A4 AVANT < span class = notranslate ' > 3.0 150KW SW D AUT (2008) 5LA008379-01 PARTS USED. Category veiocolo: SW STATION WAGON. Engine code (located at point P5 of the booklet): BKN. 8P0907357F XENON HEADLIGHT UNIT AUDI Q7 < span class = notranslate ' > 3.0 171KW 5drs D AUT (2007) 5LA008379 PARTS USED. MPN 8P0907357F 5LA008379. Year: 2007. 5LA008379 XENON HEADLIGHT UNIT AUDI Q7 < span class = notranslate ' > 3.0 176KW 5drs D AUT (2008) 8P0907357H PARTS USED. MPN 5LA008379 8P0907357H. Year: 2008. Being the parts used may have slight signs of wear and tear. MPN 8K0941597C. Engine code (located at point P5 of the booklet): CFF. Being the parts used may have slight signs of wear and tear. MPN 8K0907472. Year: 2009. Power: Diesel. 5LA008379 XENON HEADLIGHT UNIT AUDI A6 SW < span class = notranslate ' > 3.0 165KW 5drs D AUT (2005) 8P0907357C PARTS USED. MPN 5LA008379 8P0907357C. Year: 2005. Power: Diesel. 8K0907472A RIGHT FRONT XENON HEADLAMP AUDI A4 SW < span class = notranslate ' > 105KW 2.0 5 p D 6 m (2011) PARTS USED. MPN 8K0907472A. Category veiocolo: SW STATION WAGON. Engine code (located at point P5 of the booklet): cag. MPN 8K0941597. Year: 2009. Power: Diesel. 8P0907357F XENON HEADLIGHT UNIT AUDI A6 AVANT < span class = notranslate ' > 2.7 132KW AUT D 5 doors (2007) 5LA008379-01 PARTS USED. MPN 8P0907357F. Year: 2007. IVA e CF 01468120298. Being the parts used may have slight signs of wear and tear. 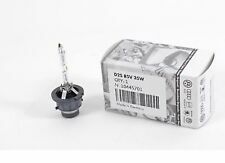 5DV008290-00 ECU LIGHT XENON AUDI A6 AVANT 2.7 132KW AUT D 5P 07 SPARE PARTS. 5DV008290-00 HEADLAMP XENON AUDI A6 AVANT < span class = notranslate ' > 2.7 132KW AUT D 5 doors (2007) PARTS USED. IVA e CF 01468120298. Being the parts used may have slight signs of wear and tear. 5DV008290-00 HEADLAMP XENON FRONT LEFT AUDI A6 SW < span class = notranslate ' > 3.0 165KW 5drs D AUT (2005) USED SPARES. Category veiocolo: SW STATION WAGON. Engine code (located at point P5 of the booklet): BMK. 5DV008290-00 FRONT RIGHT XENON HEADLAMP AUDI A6 SW < span class = notranslate ' > 3.0 165KW 5drs D AUT (2005) USED SPARES. Category veiocolo: SW STATION WAGON. Internal reference: 438/17AS SW.
MPN 8P3907357B. Year: 2010. Power: Diesel. XENON HEADLIGHT UNIT AUDI A6 AVANT < span class = notranslate ' > 3.0 165KW 5drs SW D AUT (2005) USED SPARES. Year: 2005. Being the parts used may have slight signs of wear and tear. 8P0907357C XENON HEADLIGHT UNIT AUDI A6 SW < span class = notranslate ' > 3.0 165KW 5drs D AUT (2005) 5LA008379-22 PARTS USED. MPN 8P0907357C. Year: 2005. IVA e CF 01468120298. Engine code (located at point P5 of the booklet): BMK. 8P0907357A XENON HEADLIGHT UNIT AUDI A6 < span class = notranslate ' > 3.0 165KW 5drs D AUT (2004) 5LA008379 PARTS USED-21. MPN 8P0907357A 5LA008379-21. Year: 2004. 8H0907357A XENON HEADLIGHT UNIT AUDI A4 AVANT < span class = notranslate ' > 105KW 2.0 SW 5 p D AUT (2008) 8H0907357 PARTS USED. MPN 8H0907357A. Category veiocolo: SW STATION WAGON. Year: 2008. 8K0941597C FRONT LEFT SIDE XENON HEADLAMP DRIVING AUDI Q5 < span class = notranslate ' > 2.0 125KW D 5 p 6 m (2011) PARTS USED. MPN 8K0941597C. Engine code (located at point P5 of the booklet): CGL. 8K0941597 ECU LIGHT XENON AUDI A4 AVANT 2.0 SW 105KW 5P D AUT 08 SPARE PARTS. 8K0941597 XENON HEADLAMP AUDI A4 AVANT < span class = notranslate ' > 105KW 2.0 SW 5 p D AUT (2008) PARTS USED. MPN 8K0941597. Category veiocolo: SW STATION WAGON. IVA e CF 01468120298. Being the parts used may have slight signs of wear and tear.